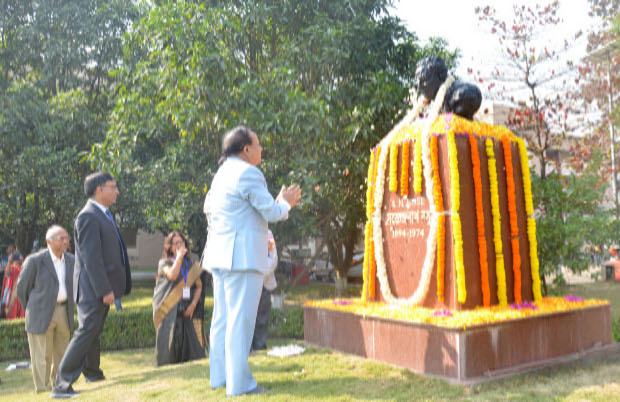 Inauguration of ‘The Curtain Raiser Ceremony on the Occasion of 125th Birth Anniversary of Prof. S.N. Bose’ by Shri Narendra Modi, Hon'ble Prime Minister of India on 1st January 2018 at 11:00 AM IST. A road show by students and teachers with tableau. Garlanding the bust of Prof. S.N. Bose by Dr. Harsh Vardhan, Hon’ble Minister, Ministry of Science & Technology, Earth Sciences and Environment, Forests and Climate Change, Government of India. Tree plantation by Ministers and Dignitaries. 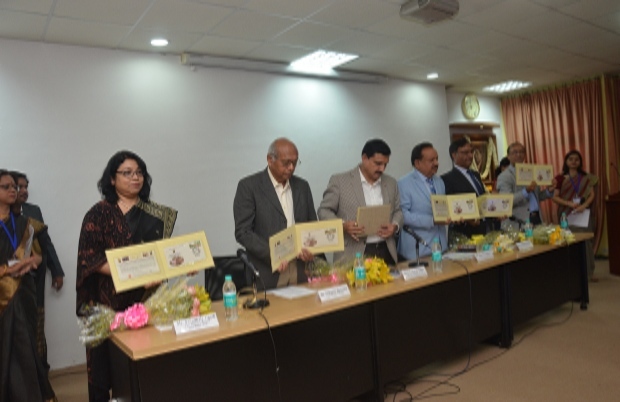 Release of Special Cover on Prof. S N Bose by Ms. Arundhaty Ghosh, Chief Postmaster General, West Bengal Circle, Kolkata. Address by Dr. Harsh Vardhan, Hon’ble Minister, Ministry of Science & Technology, Earth Sciences and Environment, Forests and Climate Change, Government of India. Address by Shri Y.S. Chowdary, Hon’ble Minister of State, Ministry of Science & Technology and Earth Sciences, Government of India. Bose -125 Distinguished Lecture by Prof. Ajay K. Sood, President, INSA, IISC, Bangalore. Title: Nature Inspired Physics: Flocking and Bacterial Heat Engine. Title : Photochemical, Thermochemical and Electrochemical splitting of water. 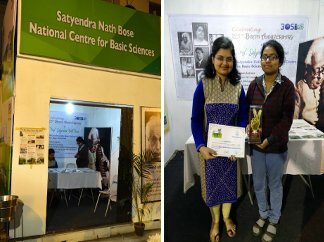 "S N Bose National Centre for Basic Sciences" participated in the 'Bigyan-O-Prajukti Mela 2018' held during 11-14 January, 2018 at Hedua Park, Kolkata, organized by Paschim Banga Vigyan Mancha. 9th Vidyasagar-Satyendra Nath Bose National Workshop held during 17 - 19 January, 2018 at Vidyasagar University, Midnapore. "International conference on current trends in materials science and engineering" (CTMSE 2018) jointly organized by Institute of Engineering & Management and S. N. Bose National Centre for Basic Sciences held during 19-20 January at the premises of S. N. Bose Centre. Some of the topics included in the conference are Computational Materials, Engineering Application of Materials, Emerging Materials and Applications, Graphene and other 2D Materials, Carbon Nanostructures and Devices, Semiconductor Devices, Magnetic Nanostructures and Nanodevices, Spintronics, Emerging Smart Materials, Multifunctional Materials, Nanomaterials and Nanotechnology, Composite and Ceramic Materials, Soft Materials, Environmental and Green Materials, Sustainable Materials, Materials in Industry, Materials in Research and Nanobiotechnology and Nanomedicine. The special session on Quantum Phenomenon included the topics of Bose Einstein condensation and Higgs Boson. SNBNCBS Celebrated the 69th Republic Day on 26th Jan 2018 with great enthusiasm. Scientists, Technical Staff, Administrative Staff and research scholars participated on this occasion. 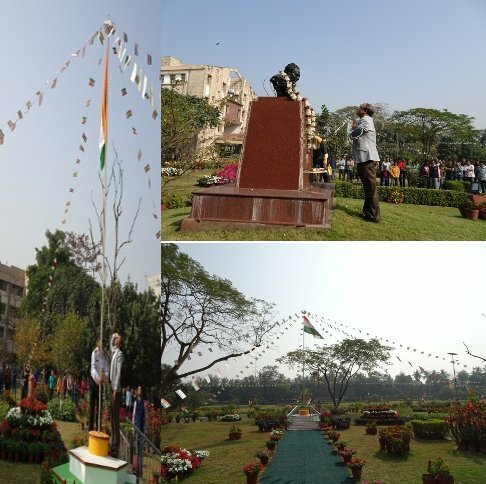 Prof. Samit K Ray, Director, SNBNCBS, hoisted National Flag and there by infusing the spirit of Nationalism and Patriotism. 'International Symposium on New Frontiers in Quantum Correlations' (ISNFQC18) has been organized during 29th January to 2nd February 2018 at S. N. Bose National Centre for Basic Sciences, Kolkata.